In the tables below you can view all of the data available for different types of nursing salaries in the state of Virginia (VA). You can use the Contents Table below to move quickly to the type of nursing specialty you require more information about – so far on this site we have detailed information on the following specialties – Nurse Practitioners, Registered Nurses, Nurse Anesthetist CRNA and LPN/LVN’s – all the salary data is for the state of Virginia. The average Registered Nurse Salary in Virginia (VA) is $67,990 which is well below the national average for Registered Nurses. There are approximately 64,260 RN’s employed in the state of Virginia across a range of industries. The tables below show employment figures, average salary information – by hour, week, month and annual salaries in Metropolitan and Non Metropolitan areas of Virginia. The average Nurse Practitioner Salary in Virginia is $102,240 which is below the national average for Nurse Practitioners. The latest figures show that there are only around 4,500 Nurse Practitioners employed in the state of Virginia across a range of industries. These figures do not include further specialties within the group. The average Licensed Practical Nurse LPN Salary in Virginia is $42,550 which is below the national average for LPN or LVN’S. The latest figures show that 21,920 LPN’s are employed in the state of Virginia across a range of industries. There are around 702,700 Licensed Practical or Licensed Vocational Nurses employed in total in the U.S.
Back to main LPN/LVN Salary page. The average Nurse Anesthetist Salary in Virginia (VA) is $193,410 which is above the national average salary scale for a CRNA. The latest figures below show that there are around 810 Nurse Anesthetists working in the state of Virginia within a number of varied industries. The tables below show detailed employment numbers, average Nurse Anesthetist salary data – by hour, week, month and annual salaries in Metropolitan and Non Metropolitan areas of Virginia. Virginia VA. State capital is Richmond. 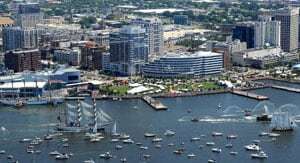 Largest cities are Virginia Beach, Norfolk and Chesapeake. Latest population figures 8,411,808. Per capita income is $52,136.